Brandi Jones always wanted to own her own business. Inspired by her mother’s cooking, Brandi baked for fun, but never considered it a possible career until she volunteered to make pound cakes for her daughter’s fundraiser. Seeing the potential to share her passion for desserts, Brandi moved to Charlotte ten years ago to attend Johnson & Wales University. With her culinary degree in hand, Brandi finally felt confident enough to start her own bakery. Starting out, Brandi was focused on her product—the scratch-made cakes, pies, and cheesecakes she sells at Honey Butter Bakery. Brandi wanted to make money, but that was an afterthought to creating the desserts she loves. Like many small-business owner’s, Brandi assumed her business would grow on word-of-mouth, but she learned quickly that starting and running a business requires a lot more than a great product. Brandi turned to Charlotte Business Resources for help. 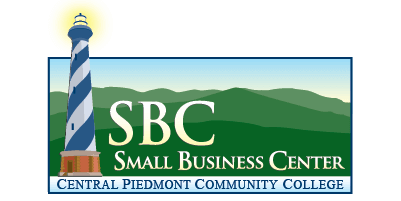 At CPCC Small Business Center, Brandi attended free seminars and got advice on how to grow her business. Charlotte SCORE and Wake Forest Seminars provided guidance, mentorship, and networking with other smalls business owners. Brandi also utilized the City of Charlotte Small Business Expo and MWSBE Certification to access more business opportunities around town. As a working mom, Brandi appreciated that these programs were free and fit within her busy schedule. And with the knowledge and resources she gained, Brandi was able to lay a solid foundation for growing her business. Soon Brandi’s cheesecakes were in retail stores. 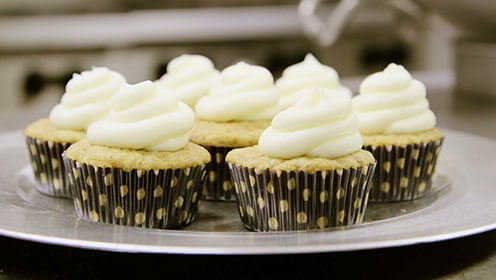 Not long after, Honey Butter Bakery was featured on a nationally syndicated radio show, and the orders came rolling in. Because Brandi had a strong foundation in place, she was able to make the most of these opportunities. Now, Brandi is focused on expanding and scaling her business, and buying the equipment she needs for larger orders. But even though her business is growing, Brandi intends to stay true to her goal of making the old-favorite desserts she loves. To business owners just starting out, Brandi’s advice is to do your research, understand your product, set and stick to your goals, and, most importantly, remember why you started. And if you need support along the way, Charlotte can help you rise to the occasion.